Apple can’t help showing off sometimes—and they should! They make cool things that people really like, and the stories of how those things get made are quite interesting and deserve to be told. 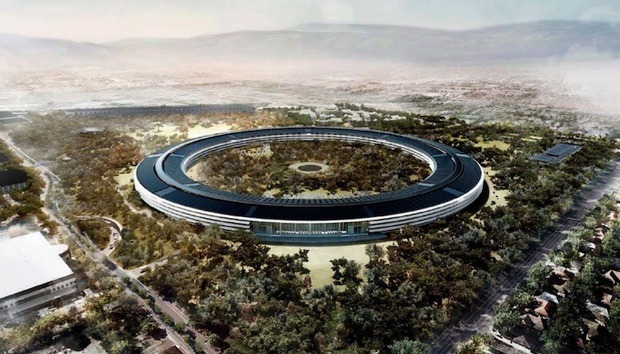 So from time to time, they’ll invite someone over like Stephen Fry or Steven Levy, or occasionally a non-Stev(ph)en—like Vogue’s Rob Haskell, who published an exclusive interview with Tim Cook, Jony Ive, and Norman Foster, the noted British architect who designed Apple’s circular campus now under construction. Haskell’s piece, “Apple and Fashion: A Love Story for the Digital Ages,” clocks in at a breezy 900-odd words, so you should definitely check it out. For what it lacks in insight, it makes up for in prose—below are the five most bananas sentences, as chosen by the Macworld staff in our Slack just now. In its current form, the pyramid [of dug-up dirt] suggests nothing so much as Giza brought to Cupertino, as if that ancient triumph of human hands had decided to seek an audience with the high priests of technology. Hmmm, might not want to make an analogy to something literally built by slave labor in an article about Apple. “The sheets of glass are so long, so clear, that you don’t feel that there is a wall between you and the landscape,” [Foster] says. Yes, that’s how glass works. It’s a wall you can see through. Buildings exist, Apple products exist, both fulfill functions. Got it. Talking over coffee on the old campus about the growing synergy between the company and the fashion world, Ive points to his rose-gold Apple Watch, a precious counterpoint to the Clarks on his feet. Are Clarks fashionable? I’ll defer to Vogue here. That time could have been more than 6,000 years ago, but who’s counting?